The town of Arborg is home to some rich history. Arborg was first settled by the Icelanders. Icelanders first arrived in the Gimli area in 1875. From that time up to start of the First World War they continued to migrate in large numbers from their home country and many came to the eastern Interlake area of Manitoba. As homesteads were taken up nearer to the shores of Lake Winnipeg new settlers moved north and west upstream along the Icelandic River into the communities of Geysir, Arborg and Vidir. The town name, "Arborg", means "river town" in Icelandic. After the railway was connected to Arborg there was an influx of new Canadians to the area of Icelanders, Ukrainians, French, Germans and many others up until today making Arborg one of the top immigration towns in Manitoba today. The hotel's owner/manager Owen Eyolfson grew up in Arborg. He is a 4th generation Icelandic, and grew up with Icelandic words used at home, as well as listening to his grandparents speak the language. The name of the Hotel's restaurant is "Eldhús" which is Icelandic for kitchen, or more literally it can be broken down into "Eldur" (fire) and "hús"(house). The previous Arborg Hotels were the inspiration behind the current building and the restaurant's name. The name Eldhús has a bit of irony behind it as the Arborg Hotel has burned down twice and survived one other fire. 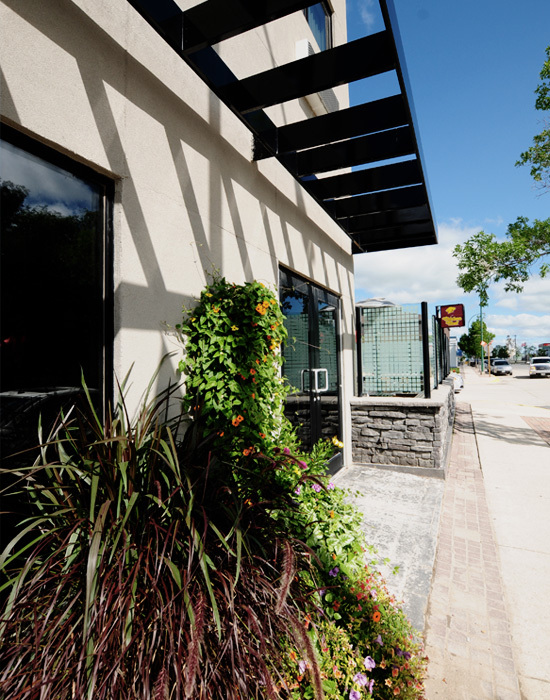 The Arborg Hotel has a long history in the town of Arborg. Sometime after the railway came to Arborg in 1911, the first Arborg Hotel was built. It was a large two story building with a two story balcony and was claimed by a fire on February 17th, 1917 along with Arborg's entire business sector. 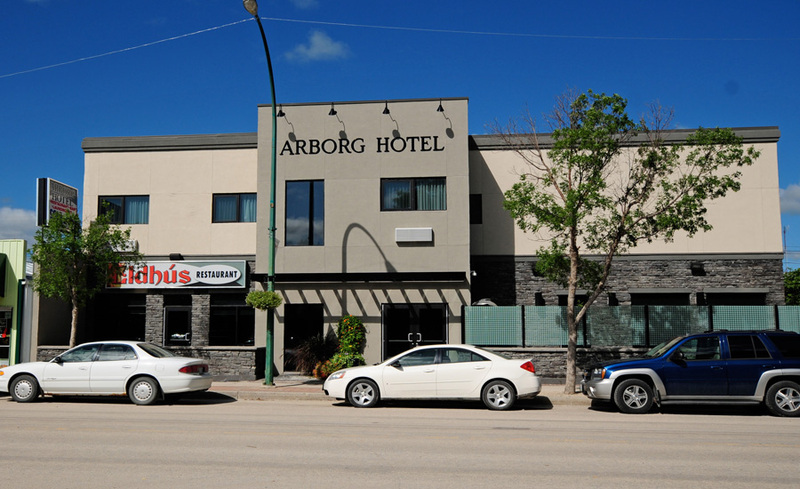 The Second Arborg Hotel was rebuilt that year and retained some of the features of the first hotel having a two story balcony of the front entrance of the building. There was another devastating fire that burned down nearly all of Main Street again on May 23rd, 1922. There are accounts of people throwing buckets of water onto the hotel as the heat from a nearby pool hall that had caught aflame was scorching the hotel and making the paint peel. The hotel was saved but over 13 businesses were lost and twenty people were left homeless. 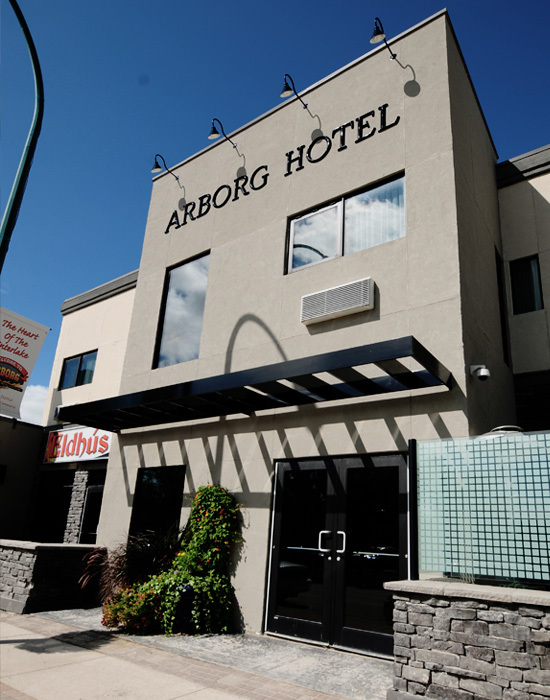 Over the years the Arborg Hotel had many renovations and additions, losing its two story balcony and adding a new wing. However, disaster struck the hotel again, the Hotel burnt for the second time on September 15th 2006. Yet another fire broke out in the Arborg Hotel causing irreparable damage to the building. 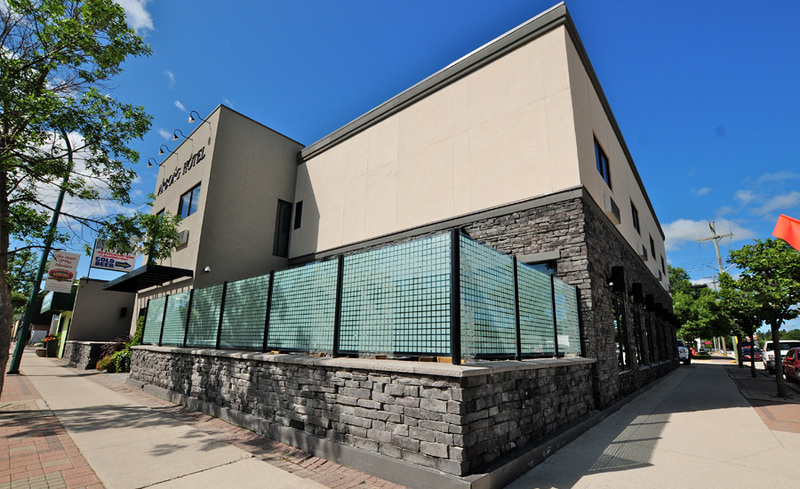 When the owners at the time decided not to rebuild, Owen saw the opportunity to replace a much-needed commercial enterprise to a dynamic and growing community. It was rebuilt and reopened on September 15th, 2009. The hotel had always been a popular gathering place in town and he saw the continued need for the business. Owen's strong family roots in the area are the basis for wanting to stay in Arborg. Being from a family of entrepreneurs, the hotel was a great chance to bring back the gathering place the town needed. Walking in the foyer, the stone wall imitates stone reminiscent of Iceland. 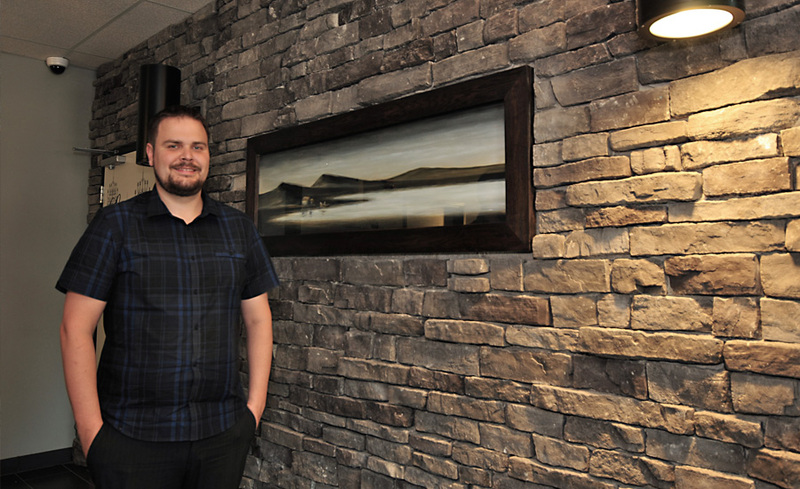 Set in this wall is a modern Icelandic painting that Owen himself chose on a trip to Iceland in 2011. Throughout the building there is representation of the country from where Arborg's first settlers came. The oranges and reds represent the lava of Iceland's many volcanoes. In each of the ten rooms, the hardwood floors and beautiful earth tones in the furniture, along with the crisp white linens, set a feeling of being a very Nordic place.